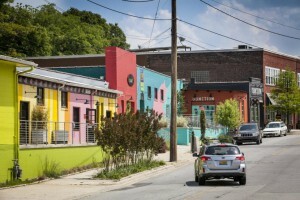 Randy Shull and Hedy Fischer are creating a colorful sensation on Depot Street in Asheville’s River Arts District. The former textile manufacturing and warehouse building at 342-348 Depot Street has been transformed into an exciting mix of artist studios and retail spaces. 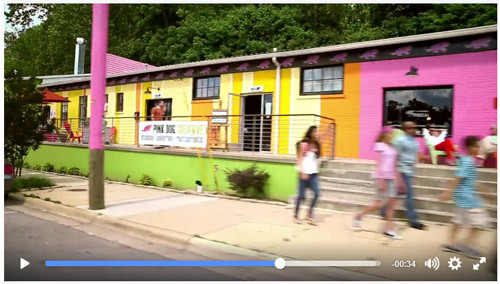 Pink Dog Creative shares the neighborhood with New Belgium & the Wedge Breweries, 12 Bones Smokehouse and hundreds of local artists. 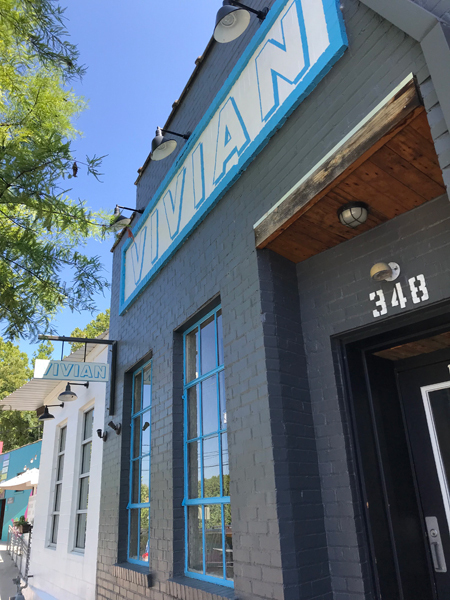 Pink Dog has 27 artists working in their studios, Fresh West Wood Fired Pizza, Vivian Restaurant and Sunnyside Trading Company. Open Hours: Artists work odd hours but we promise to have our studios open for the public on Fridays and Saturdays from 11–5. We’re thrilled that Pink Dog Creative was chosen to represent Asheville in this stunning short film. Time, Memory and Lineage is about history passing into distance made visible again through photography and encaustic. This exhibition showcases Lynn Bregman Blass and Leah Sobsey’s first project together addressing Time, through transferred images on adding machine tape with encaustic; Memory, images floated in wax on light boxes; and Lineage, deconstructed grids of ancestry. In 2007 Lynn and Leah began a conversation about the qualities of photography and encaustic, a process involving beeswax & damar resin, used in Fayum mummy portraits in Egypt in 100-300 AD. Time, Memory and Lineage is based upon Lynn and Leah’s own family histories of Eastern European immigrants at the turn of the 20th century. 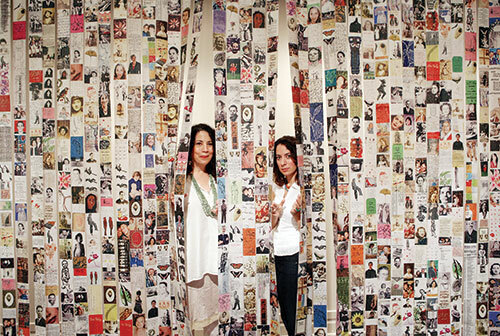 Read more about Lynn and Leah’s work at their website. 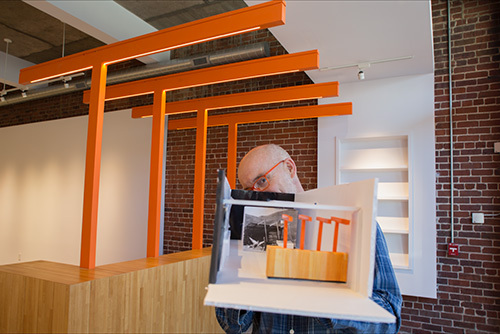 Randy Shull, contemporary artist working at the intersection of art, design and architecture, will speak as part of a panel discussion with other experts on Black Mountain College. Modernism in the Mountains tells the surprising story of Black Mountain College (1933 – 57), a short-lived educational experiment in the North Carolina Mountains that revolutionized America’s art scene. Join us on Thursday, April 18, to find out what Black Mountain College was all about and how it continues to influence and inspire artists, educators and innovators around the world. The panel discussion will take place at the Knight Theater at the Levine Center for the Arts sponsored by The Charlotte Museum of History, followed by a unique reception at the Bechtler Museum of Modern Art. 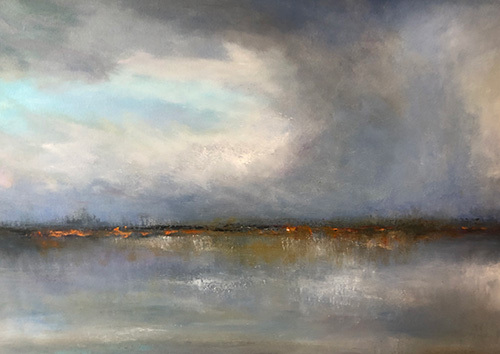 In the Momentum Gallery exhibition In the Landscape and Of the Landscape, William Henry Price along with Jennifer Bueno and Bryce Lafferty convey their wonderment with the natural world and allude to its unseen, inner workings. 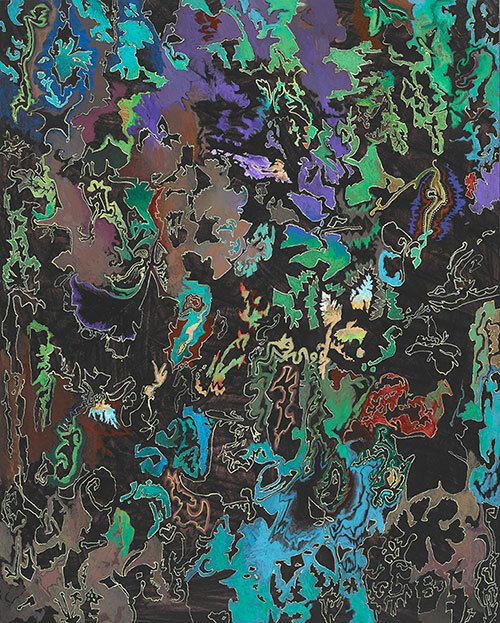 William has continued to make synesthetic paintings, large and small. Some are more open and expansive as the light at dawn and others come from the dark richness where seeds germinate. See more of William’s work at his website. See more of Holly’s work at her website. 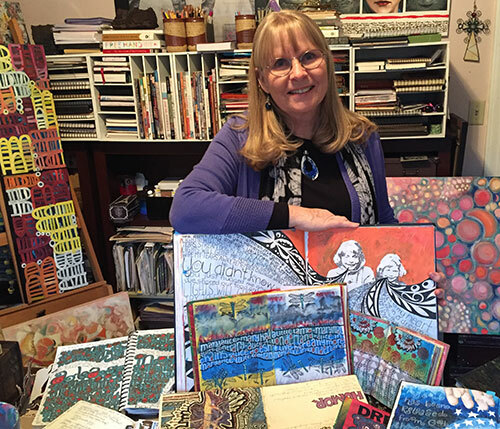 Mary Alice Ramsey will offer classes in Visual Journaling during the months of April and May at Pink Dog Creative. A visual journal is a sketchbook containing both words and mixed media art. The first class, entitled Mixed Media Backgrounds, will meet every Thursday evening in April from 5:00 until 7:00. Topics will be Backgrounds and Borders, Stamps and Stenciling, Collage and Layering, and Image Transfers. Tuition for April is $200 plus a $10 materials fee. The second class, entitled Lettering Variations, will meet Thursday evenings in May beginning on May 9 from 5:00 until 7:00. Topics in expressive lettering will be Form, Placement, Variations, and Elaborations. These lettering processes will enhance the already-established backgrounds. Tuition for May is $200 plus a $10 materials fee. 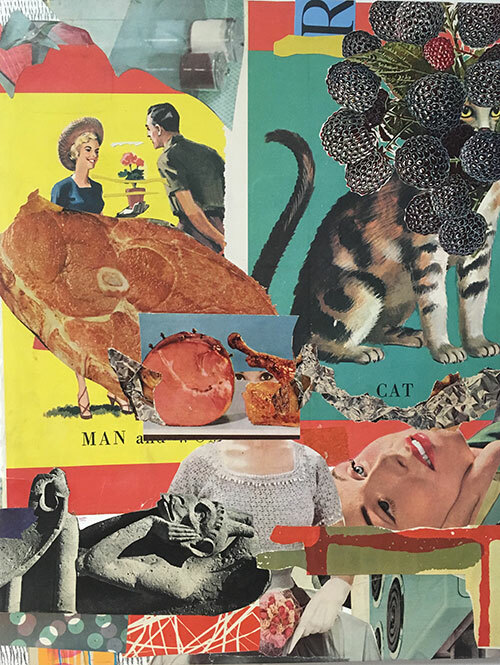 Each participant will produce several complex and colorful mixed media journal pages and will gain the expertise to continue working independently. It is recommended, for best results, that students take both classes. 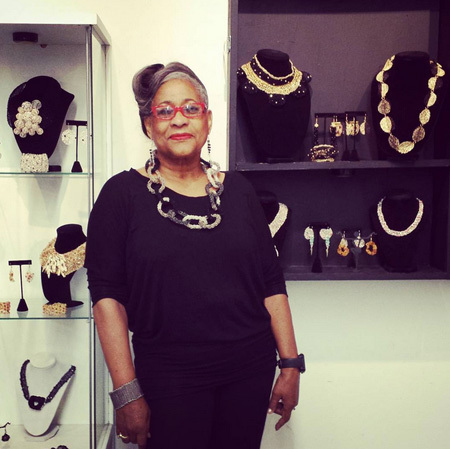 Mary Alice Ramsey is an artist, teacher, book-maker, writer and performance poet who has kept visual journals for twenty-five years. Contact her for additional information or to sign up at majramsey@gmail.com or at (828) 275-7071. Enrollment is limited. See more of Karen’s work at her website. 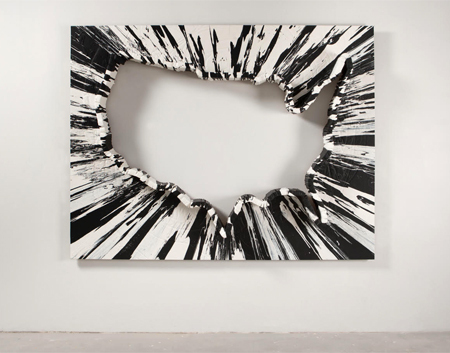 As a 2001-2002 affiliate artist of the McColl Center for Art + Innovation in Charlotte, NC, Jennifer Kincaid is participating in the 20 Year Anniversary Gala and Auction. 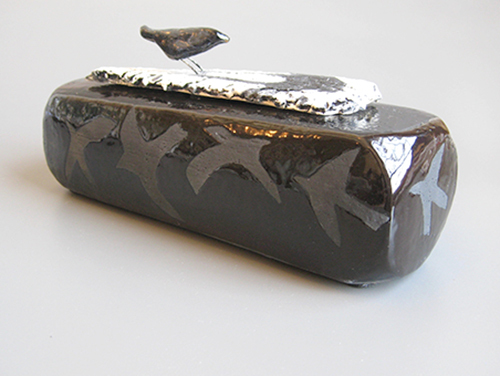 She has donated one of her ceramic bird and shadow boxes for the auction which will be held Friday, April 5, 2019. See more of Jennifer’s work at her website. Jewelry artist and designer Christie Calaycay was featured in the March issue of Asheville Made. “Calaycay’s work captures both the delicacy and endurance of botanical life, inspired by natural ecosystems around the world.” Visit her in Suite 100 at Pink Dog Creative. 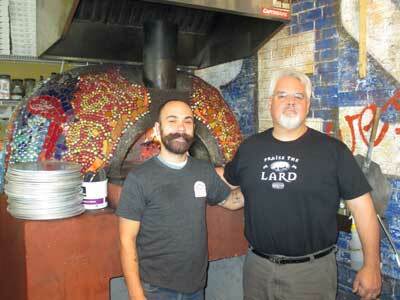 Read the article at the Asheville Made website. Two pastel paintings by Lucy Cobos have been accepted into the 2019 NC Statewide Pastel Society show. 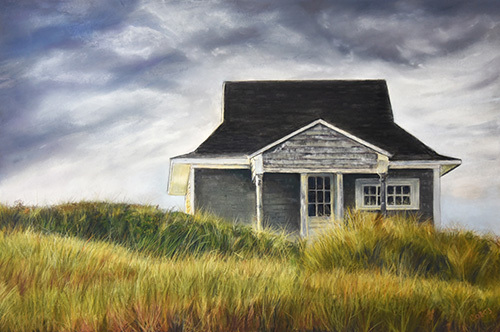 Out of 190 submissions, 60 paintings were selected by master pastelist Lyn Asselta. View more of Lucy’s work at her website. Reiko Miyagi is showing her work at an exhibition Functional Ceramics 2019 at the Wayne Center for the Arts in Wooster, OH. 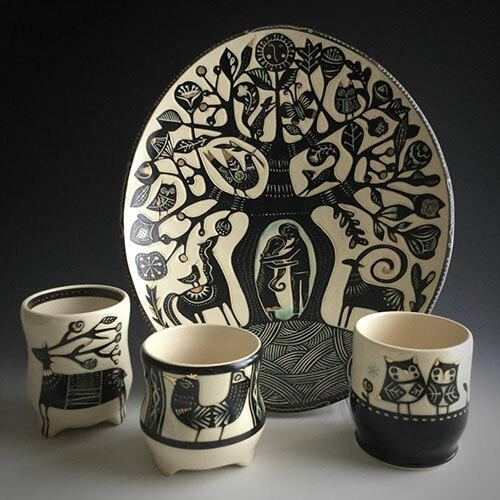 Functional Ceramics 2019 will feature pottery by 20 artists from across the country and will be presented at the Wayne Center for the Arts in Wooster, Ohio, March 16–April 14, 2019. Please click here to visit Reiko’s website. 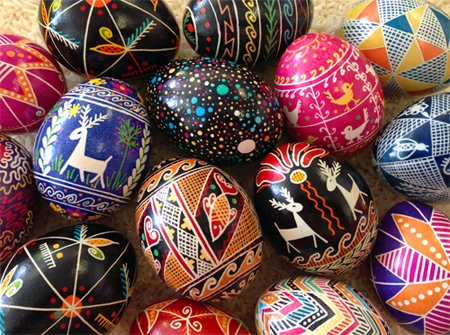 Learn to make your own Ukrainian Easter eggs. 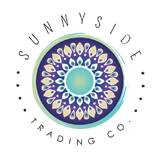 You will learn the method of batik – also called wax-resist – dying. You will also be familiarized with the wide range of Ukrainian folk art traditional patterns, designs and symbols and their history. 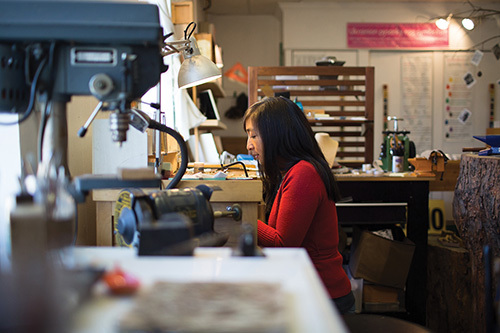 Workshops will take place this spring at Studio A, Suite 100 at Pink Dog Creative. 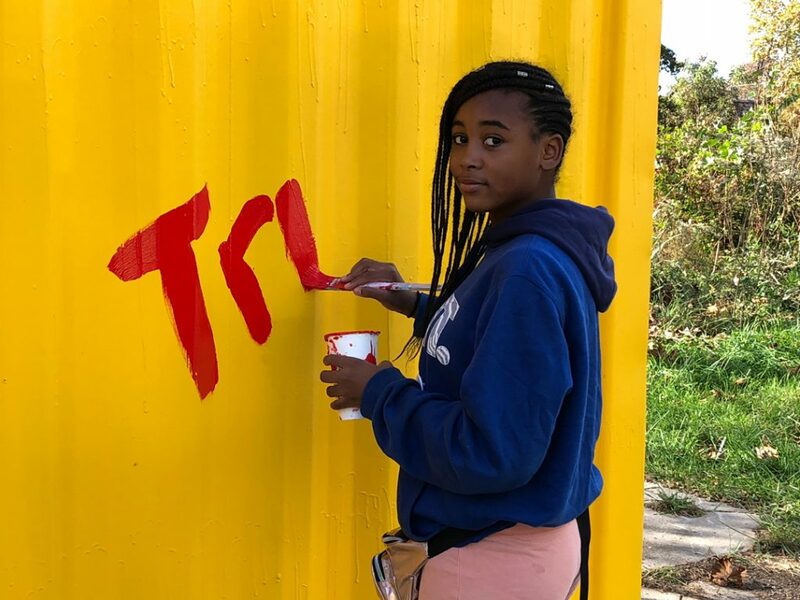 Read the full article at The Laurel website. 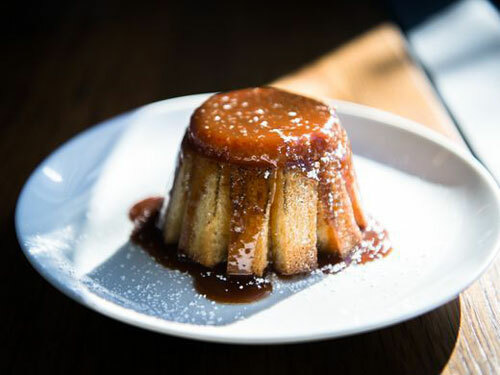 Click here to read about Vivian and the other winners at the Stoobie Awards website, and here to see Vivian’s menu and make a reservation. Randy Shull’s work Simultaneous Pattern has been chosen for inclusion at Western Carolina University’s John Bardo Arts Center in the exhibition Defining America curated by Carolyn Grosch. Defining America is inspired by the WCU campus theme for the 2018–2019 academic year. The exhibition brings together artists with different perspectives on the concept of America and asks visitors to reflect on the values, definitions, and assumptions attached to this concept. The exhibition will be on view through May 3, 2019. 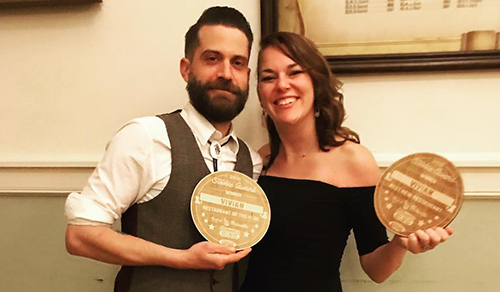 Vivian is honored to receive a “Best New Restaurant” award from Mountain Xpress Best of WNC Awards for Asheville in 2018. Vivian would like to thank all their wonderful guests who voted for their nomination in this category; they look forward to serving you many more delicious meals! Learn more and make a reservation at Vivian’s website. Pink Dog Creative, 22 London, and the upcoming exhibit Say It Loud at 22 London were all mentioned in a new article in Burnaway, The Voice of Art in the South. The article is entitled How Did Asheville Make the List of 40 Most Vibrant Arts Communities in America? by Diana Stoll. 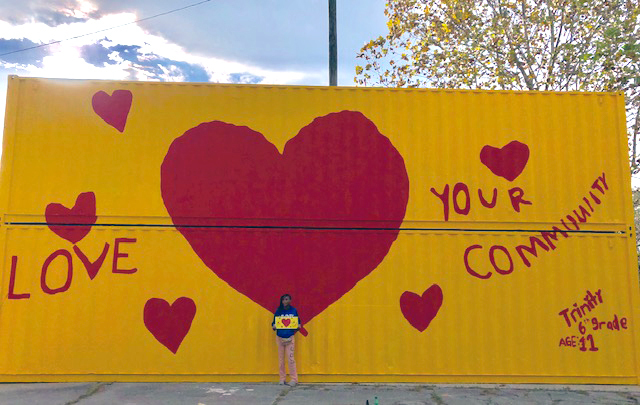 Read the full article at burnaway.org here and the original research findings about the 40 Most Vibrant Art Cities here. 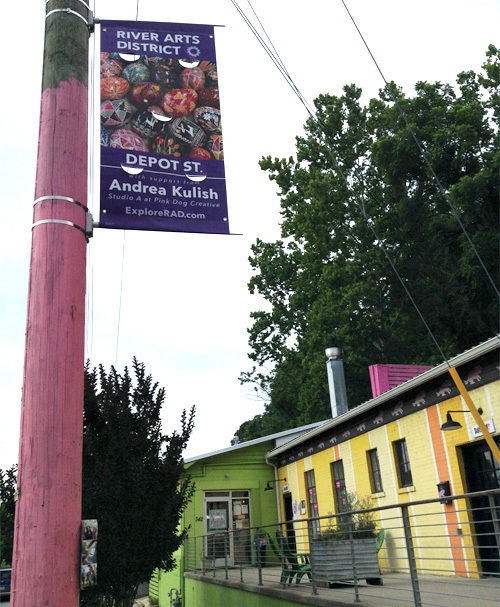 114 new pole banners are part of a project to help River Arts District vitality during RADTIP construction, which involves a partnership of the City of Asheville, RADBA (River Arts District Business Association) and RADA (River Arts District Artists). The banners are meant to help people find their way around the River Arts District and beautify the area. The banners feature artwork by various artists in the district, street names, and are color coded to match the RADA studio guide map. Pink Dog Creative artist and graphic designer Andrea Kulish designed the banners. Pink Dog Creative sponsored four of the banners, which feature artwork by Pink Dog Creative artists. You can see them on Depot Street, Lyman Street and Riverside Drive. 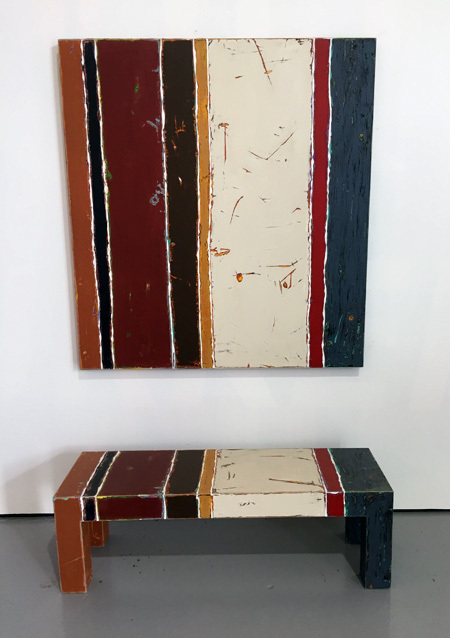 Pink Dog congratulates Randy Shull as the Spartanburg Art Museum acquires Striped Reflection, a recent piece from his reflection series that explores the relationship between painting and furniture. Fundamentally, Shull says the work is about pairing and relationships. See more of Randy’s work at his website. Viola Spells was featured in Mountain Xpress article Two Local Artists Follow Their Passions in the RAD by Alli Marshall. 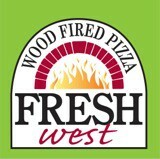 Read Liisa Andreassen’s interview of the owner of FRESH West- Quick Dish: Q + A with Mark Tomczak of FRESH Wood Fired Pizza in the Mountain Xpress – read the article here. Pink Dog Creative is the feature photo for a “Top 10” article on AARP! Read more at AARP Travel online. Read more of this article at the NY Daily News.